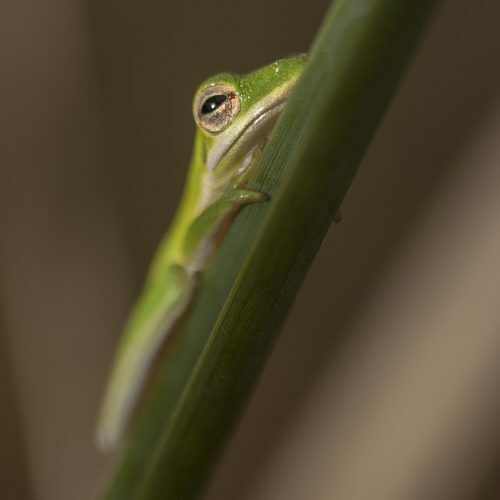 The diverse habitats of the Everglades National Park allow for enjoyable activities ranging from hiking, canoe and kayaking, biking, fresh and saltwater fishing, and camping in the ultimate wilderness. 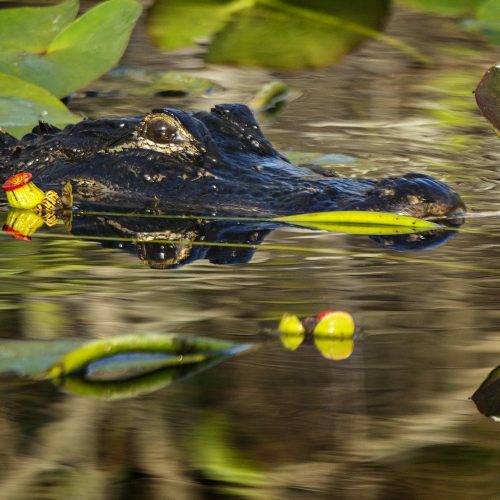 If you want to see what’s special about the Everglades, you have to get out of your car. A quiet walk down one of the boardwalk trails, a tram ride through Shark Valley, or a boat tour of Florida Bay or the Ten Thousand Islands will let you experience the Everglades firsthand. 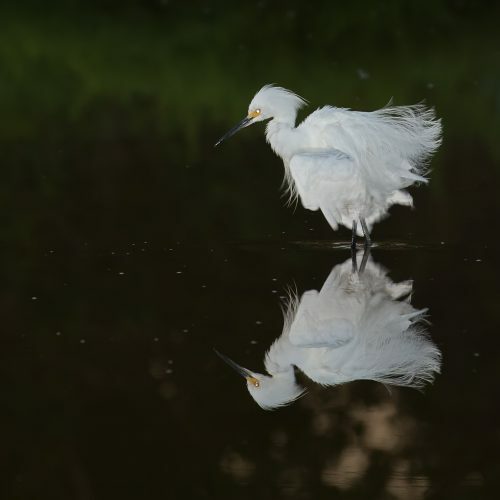 With patience and luck you might glimpse wading birds, deer, or the park’s most sought after residents; alligators. Information is available at visitor centers about places to stop and activities to try. Don’t let your memories of the Everglades be framed by a car window! 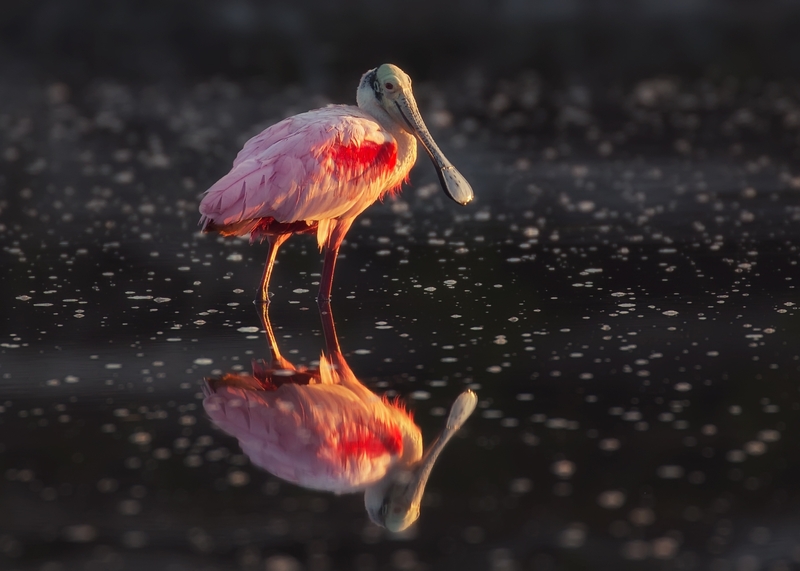 Whether you spot a single blue heron or an entire flock of roseate spoonbills, birdwatching is one of the most rewarding activities in the Everglades. 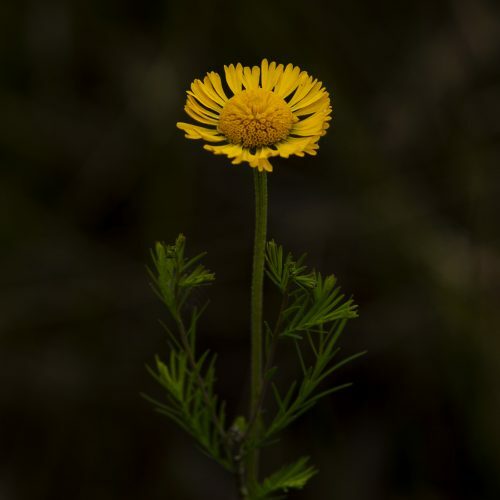 The Everglades offers both front country camping and backcountry camping. Long Pine Key and Flamingo campgrounds offer drinking water, picnic tables, grills, restrooms, and tent and trailer sites. Showers and electric hookups are available at Flamingo. Primitive campsites and beach sites are available through the watery Everglades backcountry. Most of the park is only accessible by water making boating a popular way to experience the Everglades. Whether you own a boat, are renting one, or are taking one of the tours that leave from Flamingo and the Gulf Coast, boating brings you closer to the park’s wild wonders. Geocaching is a real-world outdoor treasure hunt. Players locate hidden containers, called geocaches, using GPS-enabled devices and share their experiences online. Wading birds, cormorants, Purple Gallinules, and nesting Anhingas may be found along the path any time of the day during the winter (dry) season. Wading birds, American Coots, Osprey, White-crowned Pigeons, warblers, Red-shouldered Hawks, Anhingas, rails, Painted Buntings and other transients are best viewed here in the morning. Wading birds, cormorants, Osprey, Bald Eagles, pelicans, and shorebirds can be observed from the visitor center or by boat in the 10,000 Islands. 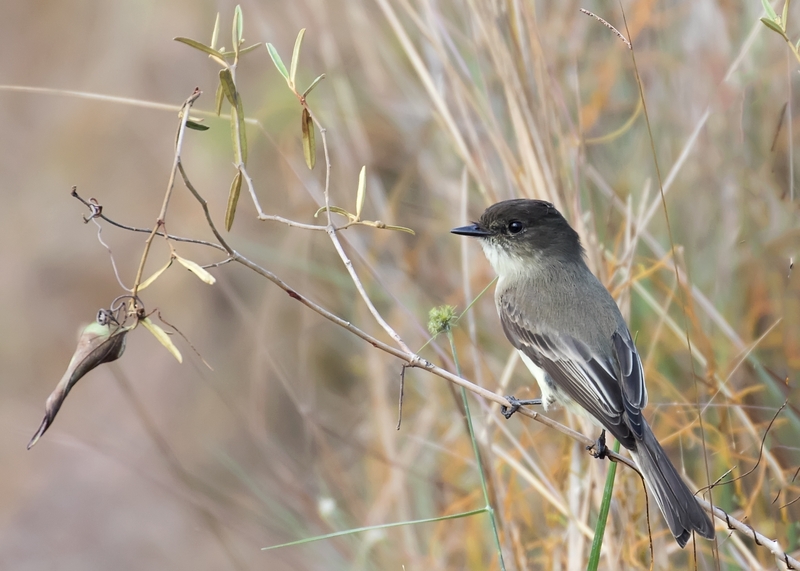 Peregrine Falcons, Swallow-tailed Kites, Wood Storks, skimmers, and a variety of warblers make a seasonal appearance. Cape Sable Seaside Sparrows may be heard and seen early in the morning from the main park road during the spring. Bald Eagles and warblers are also active in the morning, while Barred Owls come out in the evening. Most of the year only a few ducks and wading birds, but for a few days during some winters, large numbers of wading birds, including Roseate Spoonbills and Wood Storks, move into a feast. Snail Kites, wading birds, Wood Storks, Roseate Spoonbills, Limpkins, and White-crowned Pigeons make this spikerush community their home. The best times to find these birds is in the morning via canoe. Roseate Spoonbills and wading birds make appearances year round, while in the early spring a Wood Stork rookery dominates the mangroves of this small pond. Wood Storks, wading birds, Snail Kites, and Anhingas may be found throughout the day along the tram road. 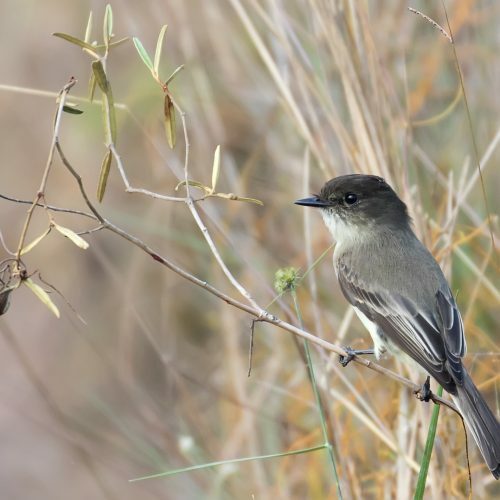 Warblers and Mangrove Cuckoos frequent the trail in the morning hours while wading birds, shorebirds, and flamingos sometimes feed near the boardwalk at high tide. Visitors can explore Florida Bay, Whitewater Bay, and the Ten Thousand Islands area by boat, kayak, or canoe. Each area has its own unique characteristics and habitats to explore. Boating in the waters of the Everglades is a task for the skilled. Treacherous passes cut through long banks of mud and seagrass, separating the basins of our shallow coast in Florida Bay. Other areas, especially in the Ten Thousand Islands, have many oyster reefs and sandbars. Safely exploring this region, while protecting the sensitive underwater habitats, requires the ability to “read the water”. Shallow areas are not always marked, especially in the area between Flamingo and Everglades City. Knowing the draft (depth) and limits of your boat is critical, as is the ability to read and utilize nautical charts. To learn how to safely navigate the waters of Florida Bay, boaters can take a partner sponsored online boater education course called Eco-Mariner. Click on the Eco-Mariner image to start the boating safety course that provides the basic knowledge to protect Florida Bay’s sensitive environment. Propeller damage to seagrass beds is harmful to the marine environment. Be extremely careful when navigating in shallow waters. The Flamingo Marina, open year-round, can accommodate more than 50 boats with electric and water hookups. The channel will accept a four foot maximum draft. Boat fuel is temporarily unavailable. Marina store hours are 8 a.m – 4:30 p.m. The store offers a limited variety of snacks, drinks, and ice. Contact Everglades Guest Services directly for additional information at 305-501-2852. From the park’s Homestead entrance, boat ramps are located at both West Lake (vessel and motor size restrictions apply) and Flamingo. For access to the Ten Thousand Islands, boat ramps are located in Everglades City and Chokoloskee. For access to Northeast Florida Bay there are ramps located in Monroe County, check the county website for details. Additional locations may be temporarily designed as “no wake” areas by the posting of appropriate signs/markers, when safety or potential damage to property or resources is of immediate concern. In addition to the park entrance fee, a boat launch fee is charged to all vehicles entering the park with boats, including canoes, kayaks, and power boats. In all No Motor areas engine must be removed from tran­som. All freshwater lakes, including Paurotis and Nine Mile Pond. Noble Hammock and Hells Bay Canoe Trail (from the road to Lard Can). Long Lake to the mouth of Garfield Bight. *Note* Watercraft with engines of 6 horsepower or less are permitted on West Lake, but not beyond. Little Henry, Henry, Monroe, Middle and Seven Palm Lakes. All inland creeks and lakes north of Long Sound, Joe Bay and Little Madeira Bay except for the ponds and lakes associated with Taylor River. Coot Bay Pond, Mud Lake and Bear Lake. The Homestead Canal and all small lakes along the canal. All associated small lakes on Cape Sable inland from Lake Ingraham. In order to offer additional protection to wildlife habitat, the following areas have been closed to public entry. 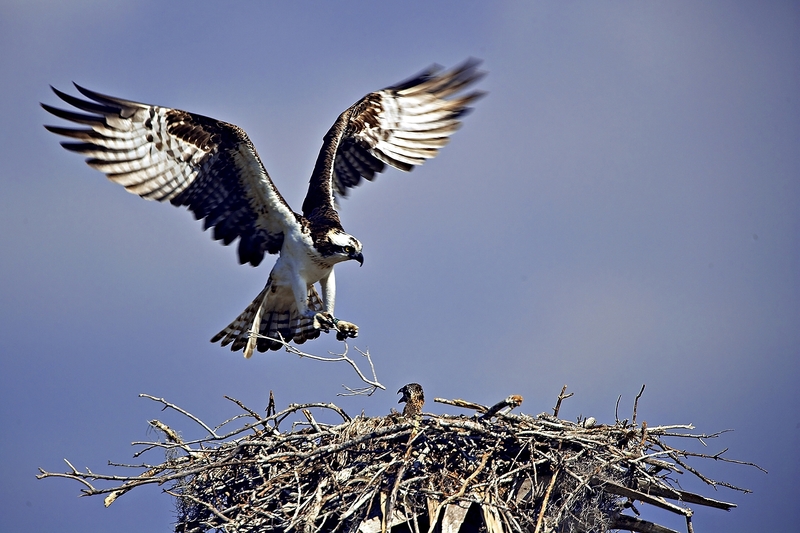 All keys (islands) in Florida Bay are closed to protect bird nesting areas (see exceptions below). Wading within 100 feet of any closed area is prohibited. Moats and internal creeks associated with Buchanan Keys. 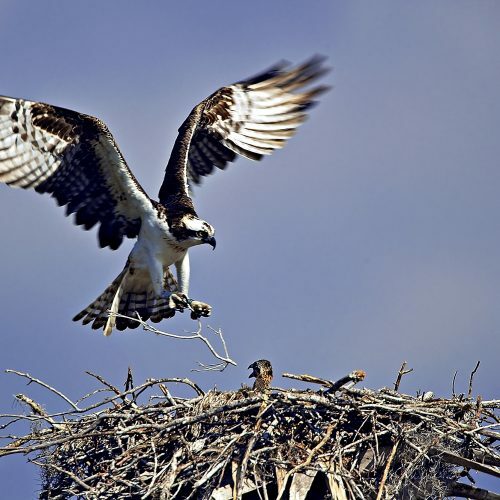 Exceptions: Landing and camping is permitted on North Nest Key, Little Rabbit Key and Cape Sable. Pets are prohibited on all keys. The following areas are closed for the protection of American crocodiles and their nesting habitat: Little Madeira Bay, Taylor River, East Creek, Mud Creek, Mud Bay, Davis Creek, Joe Bay and its easternmost portion, commonly called Snag Bay, and all creeks inland from the northern shoreline of Long Sound to U.S. Highway 1. Cuthbert Lakes and their attendant rookery. Landing is prohibited on the small group of islands at the southeast entrance to Gaskin Bay, known as Indian Key Rookery. Landing is allowed only on the northern most sand spit of Pavilion Key. The rest of the island is closed. Other areas may be posted closed by order of the Park Superintendent. Closed areas represent less than 1% of the total park area. The towing of persons by vessels utilizing water skis, hydra slides, knee boards or other similar types of equipment is prohibited so that manatees, crocodiles, and nesting birds will not be disturbed. The operation of “personal watercraft” also known as “wet bikes®”, “jet skis®”, and other trade names, is prohibited. Geocaching is a real-world outdoor treasure hunt. Players locate hidden containers, called geocaches, using GPS-enabled devices and share their experiences online. If you are new to geocaching, you may want to begin by checking out the official Guide to the Game. Players may register a free account with Geocaching.com to seek caches and log entries about those they’ve found, but it is not necessary. 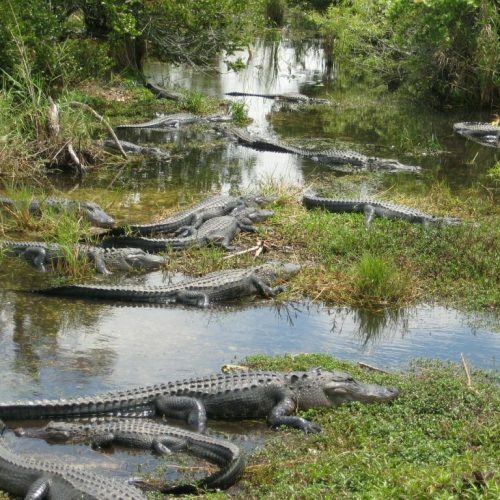 The information needed to find Everglades Restoration Geocaches is freely available on these pages. 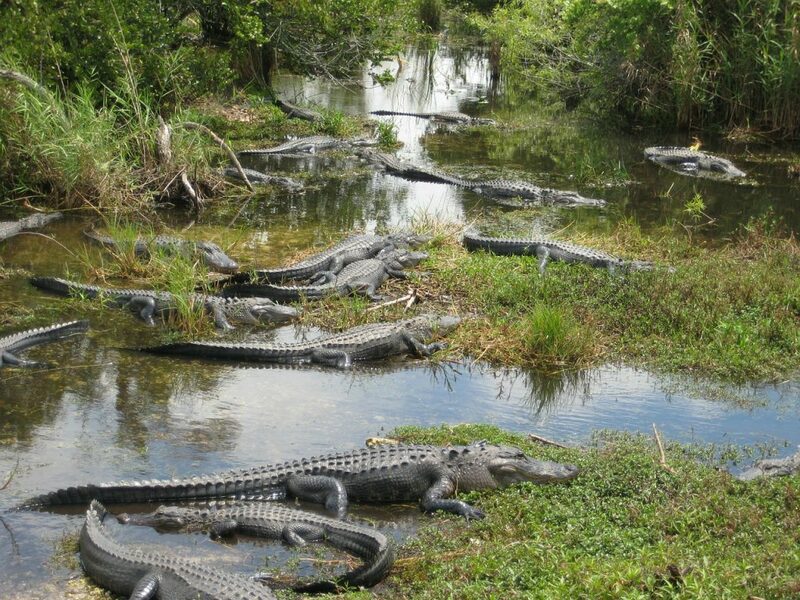 These geocaches were developed by Everglades National Park and partners for the enjoyment of visitors. Please note that the placement of unauthorized caches on lands managed by the National Park Service remains generally prohibited. For additional questions, or to report trouble with any of the cache containers, please contact the park’s geocache administrator. Please also use this form to share ideas and comments on how to improve this visitor experience. 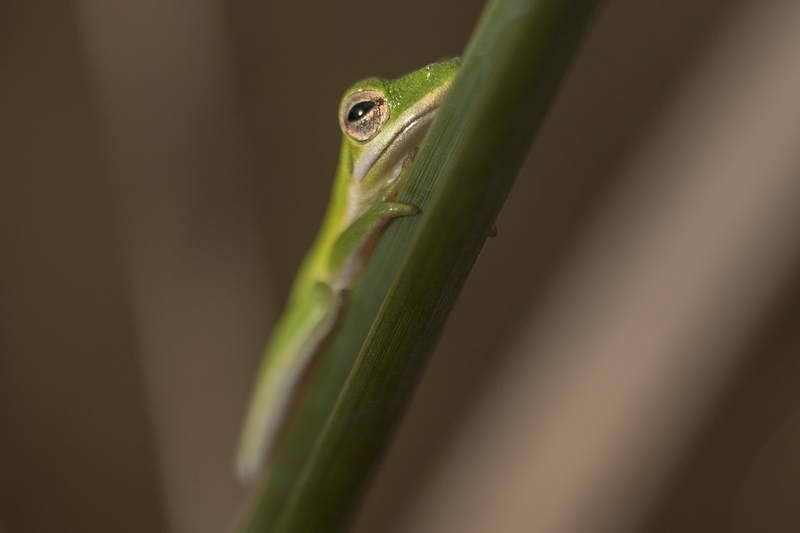 And if you are an account holder on Geocaching.com, you can always leave a log note or find us at EvergladesNPS! 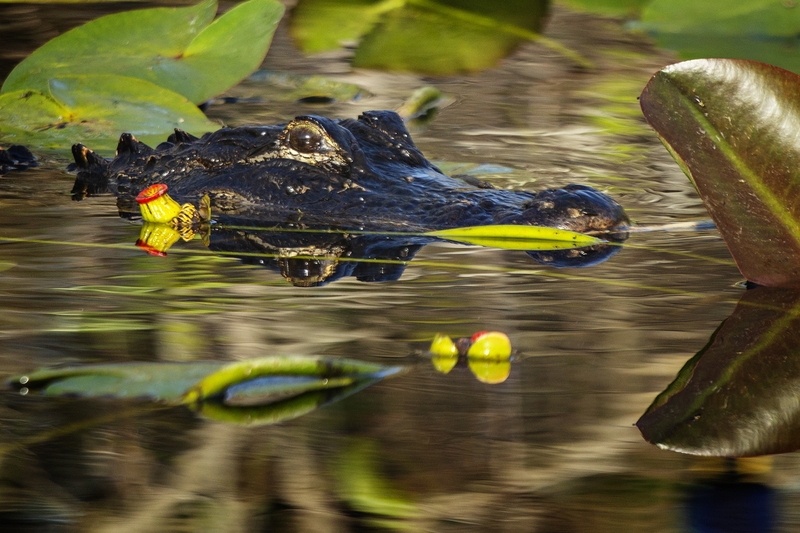 Everglades National Park offers excellent camping opportunities in both the front country and the backcountry! While camping is available year-round, persons visiting during the wet season (June through November) should be aware of potentially difficult and uncomfortable conditions. Visitors should also be well-prepared, as camping equipment is not available for rent or purchase in the park. There are two drive-in campgrounds accessible from the Homestead entrance of the park: Long Pine Key Campground and Flamingo Campground. Both accommodate tents and RV’s with a limited number of group sites. 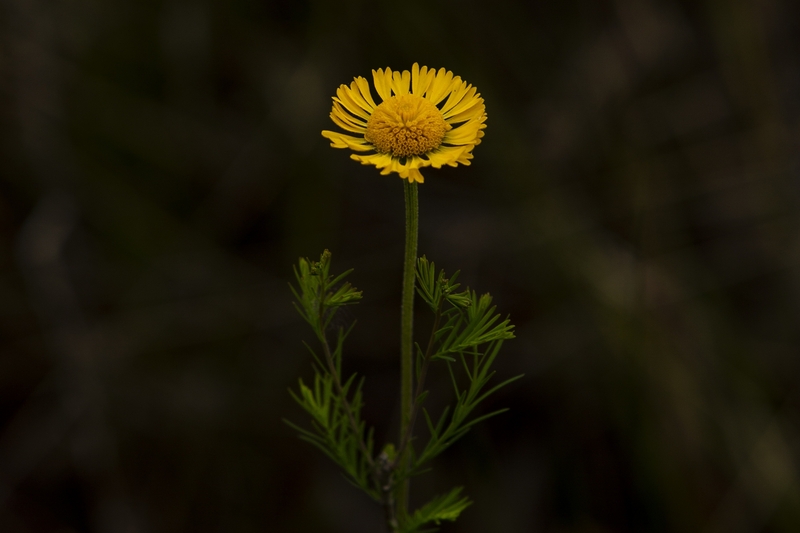 There are no front country campsites anywhere else in Everglades National Park. There are generally enough single campsites to meet demand in the frontcountry, but reservations are strongly recommended for Flamingo during the busy winter months, especially holidays such as the week between Christmas and New Year and other winter holiday weekends. Reservations can be made at Recreation.GOV or by calling 1-888-444-6777. Both Flamingo and Long Pine Key campgrounds can accommodate tents and RVs. There are some ground sites, beach sites, and elevated camping platforms (“chickees”) available in various locations in the park. Most backcountry camping sites are accessible by canoe, kayak, or motorboat, though hikers may reach a few. A backcountry permit is required for all wilderness campsites and issued the day before or day of your trip at either the Flamingo or Gulf Coast Visitor Centers. A limited number of group sites (up to 15 people) are also available. There is only one group site at Long Pine Key Campground, and that is available on a first-come-first-serve basis, larger groups may need to take two sites if the group site is unavailable. Reservations are required for group sites at Flamingo Campground during the busy season, November 20 – April 15. Long Pine Key Campground is open Seasonally from November 15 – April 30 and closed from the 1st of May until the 14th of November. Reservations are not being taken for the Long Pine Key group site at this time. All sites will be on a first-come-first-served basis. Long Pine is near the Homestead entrance to Everglades National Park. It is located in a forest of tall pines with large sites offering good privacy, and only a few miles from the Anhinga Trail at Royal Palm. 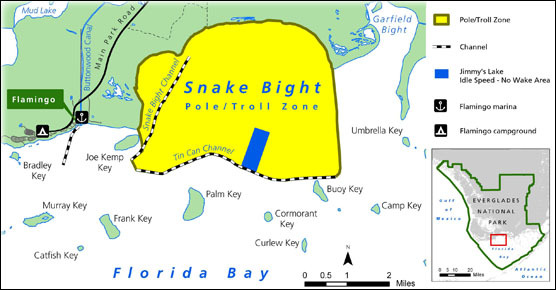 The campsite is also adjacent to Long Pine Key Trail that is 7 miles long. It features 108 individual drive-up sites for tents and RVs available first-come, first-served for $20/night. Reservations are not accepted for individual sites. The campground has one group site, for group site reservations call (305) 501-2852. The group site is open seasonally from November 15 – April 15, while the individual sites of the campground are open from November 15 – April 30. The campground is closed from May 1 to November 14. To confirm the annual opening date, call Everglades Guest Services at (305) 501-2852. Long Pine Key Campground is located seven miles (11 km) from the main entrance, just off the main road. There are restrooms, showers, water, and a sewer dump station with fresh water fill, but no hookups. A picnic area is nearby, with fire grates and restrooms. There is also a pond for fishing, an amphitheater for winter programs, and several hiking trails in the area. Camping is available year-round! Reservations can be made for the Flamingo Campground through ReserveAmerica ReserveAmerica or call 1-877-444-6777 (International 518-885-3639) from November 20th – April 15th during the high season. No reservations needed during off-season months between April 16 – Nov.19. During the summer wet season, portions of the campgrounds are closed due to flooding. Reservations are accepted for the 234 drive-up sites at Flamingo, which are $20/night for campsites with no electric hookups. Electric hookups are available on 41 sites in the T-loops and run $30/night. Out of the 234 drive-up sites, 55 of them have a view of the Florida Bay and 40 walk-in sites of which nine are on the water’s edge. There are three walk-in group sites (for a max. of 15 people) on the side of the water and 65 RV sites. During high season – 50% of the sites are held to accommodate those without reservations on a first come first serve basis. 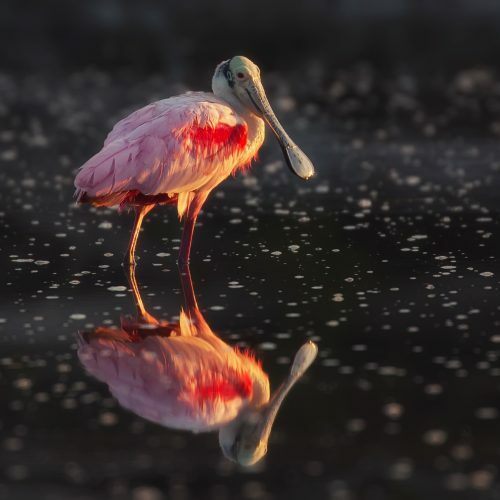 If you’d like to confirm one of these sites are available at the online reservations are full, you can call the Flamingo fee station at 239-695-0124. There is an entrance fee to get into the park not included in these camping fees. Individual: Campsite nightly fees $20.00 ($10.00 for senior citizen 62 or over and for access pass holders (permanently disabled). NOTE – Electric sites are not available on a walk-up basis during the high season. Reserve through the online reservation system. The Flamingo campground is in a big open field with few trees, and strong breezes can be felt from winds coming from Florida Bay. The campgrounds feature solar-heated showers, two dump stations, picnic tables, grills, and an amphitheater for winter programs. Flamingo has several hiking trails and canoe trails, and opportunities for saltwater fishing are plentiful. 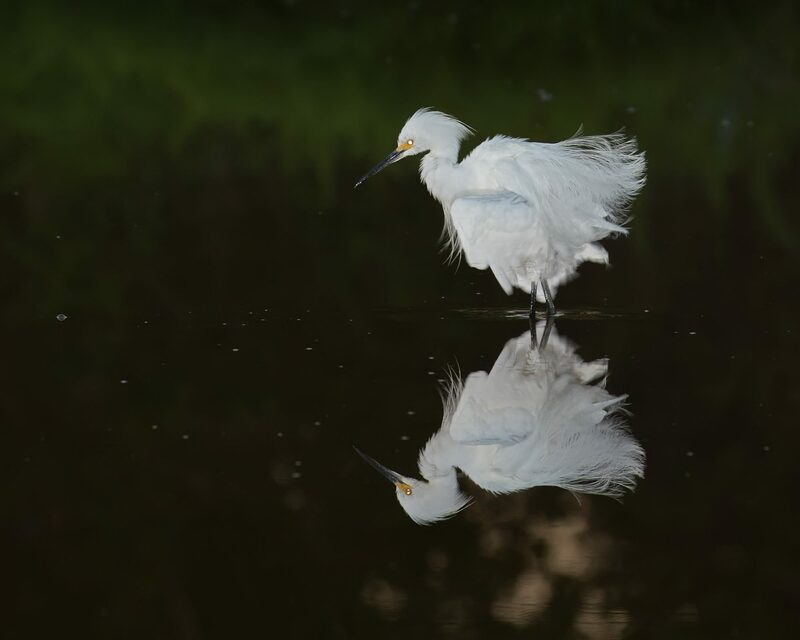 More than 300 species of birds spend the winter in Everglades National Park, and there is ample opportunity to see crocodiles and manatees in the marina area where you can find services, boat rentals, tour boats and the Buttonwood Cafe. The Flamingo Campground is located 38 miles south after you go through the fee booth at the main park entrance in Homestead.